Significant as has been the role of psychoanalysis and psychotherapy in contemporary culture and society, its importance continues to grow at an accelerating rate as more specific, focused, and involving forms of therapy are devised. 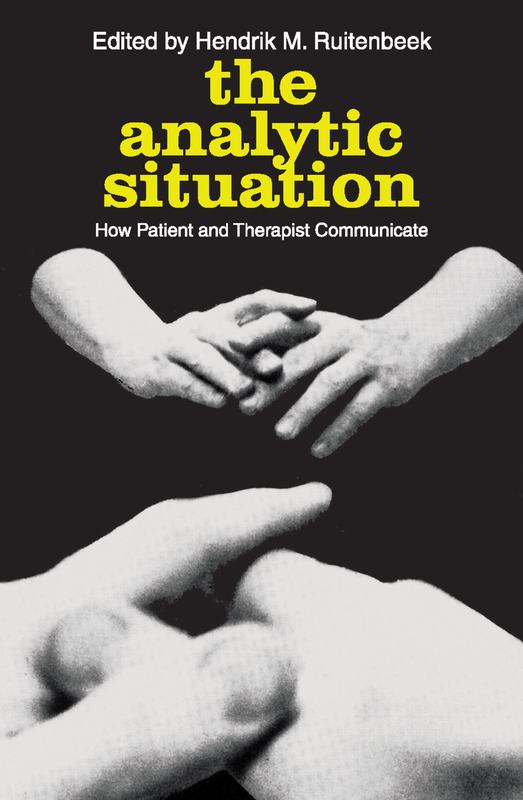 The contributions of eminent practitioners that make up this volume deal with specific types of occurrences in the confrontation between patient and therapist, such as silence, crying, sleeping, touching, use of first names, gifts, note taking, termination, etc. The views expressed here demonstrate how the rigidity of early psychoanalytic theory has yielded to fundamental changes in the handling of the analytic situation; numerous new schools of thought have arisen in attempts to give deeper fulfillment to the needs of patient, analyst, and society. The persuasions of these new schools--Gestaltist, existentialist, neo-Freudian, behavioralist, ego psychologist, rational-emotive, encounter, and many others--underlie the material presented here.Impulsiveness and originality mark all of these departures from orthodoxy. The therapist, becoming more open and more manifestly responsive in his interaction with the patient, is clearly shifting his role from that of an objective listener and interpreter to that of an overt participant in therapy. These trends are further intensified by the fact that the practice of psychotherapy is now carried on, by a vast number of clinical psychologists, personality psychologists, social psychologists, and social workers who have taken up psychotherapy as a professional activity in urban mental health clinics and in a variety of settings outside the major American metropolitan areas.The Analytic Situation provides informative, revealing reading for everyone involved in the psychotherapeutic process. It also offers provocative insights to students and therapists in training. What Do I Do When the Patient Cries?